The Wild Storm spins its wheels a bit in issue #9 which proves to be more about setting up future events in the series (IO's Jacklyn King planning a covert cyberwar attack against Skywatch, and Angela Spica being introduced to Jacob Marlowe's secret laboratory) than big reveals or takeaways. 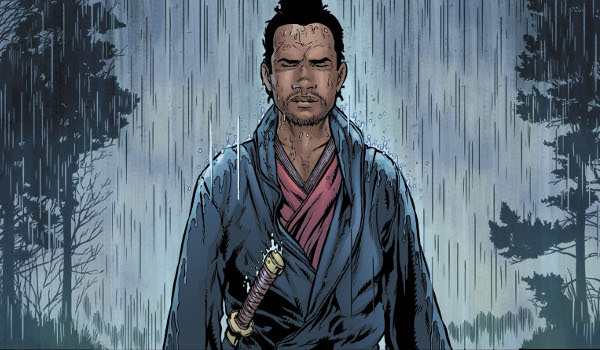 That said, the issue is highlighted by some strong art by Jon Davis-Hunt in what little we see of the lab and one hell of a silent extended action sequence set in John Colt's past in feudal Japan. The Wild Storm #9 feels very much an issue set aside in the middle of graphic novel to lay some foundation for what is yet to come. The Japanese sequence helps to set it apart as more than just a filler issue (although, really, that's what it appears to be). The interaction we got with Jenny Mei Sparks and the new Doctor in the previous issue may have raised my hopes a bittoo much that the timeline had been accelerated, but it seems Warren Ellis is more than content to take his time and continue to build out his world. Worth a look.